Mobile gaming is a competitive area to be in right now, seeing that there are several players vying for supremacy. 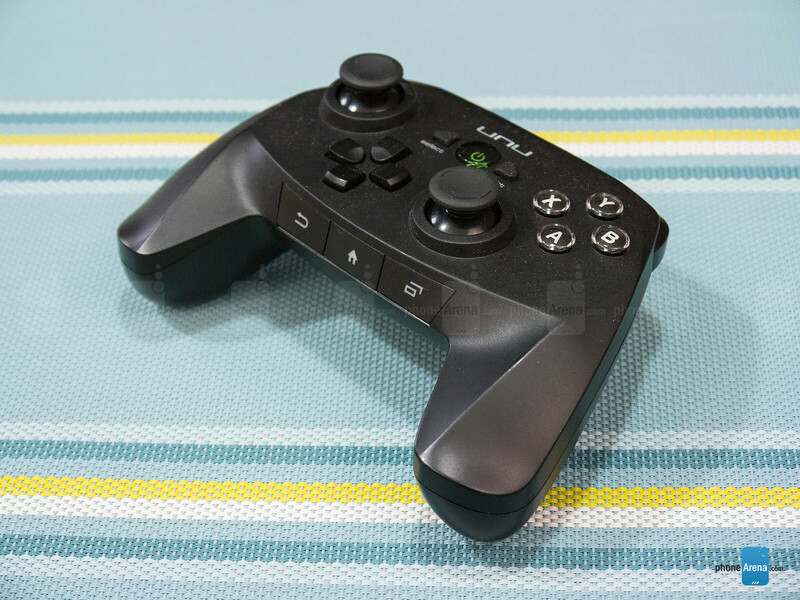 Currently, you have things like the NVIDIA Shield having the most presence in the space, but other smaller contenders, like Moga’s line of Bluetooth enabled gamepads, have been able to shovel out a small piece of the pie as well. 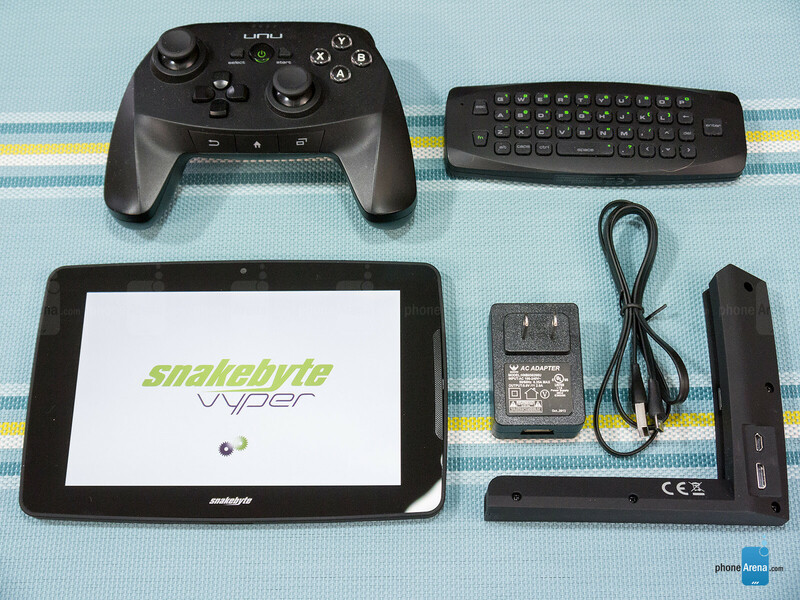 Fresh on the scene, the Snakebyte Vyper is an intriguing prospect that attempts to unify the experience by being the first 3-in-1 gaming system by offering prospective folks an Android tablet, smart TV, and game system in one sweet package. 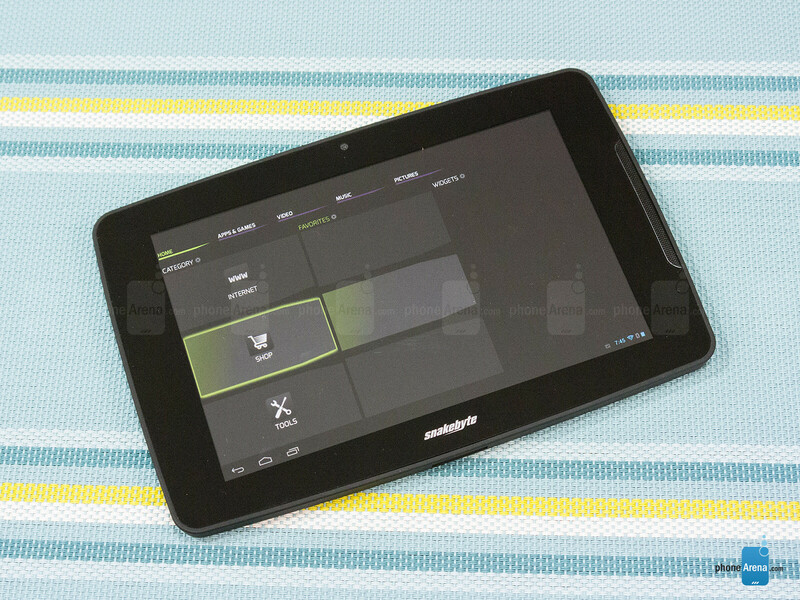 It shouldn’t be surprising that the design of the tablet is tepid. Yikes! 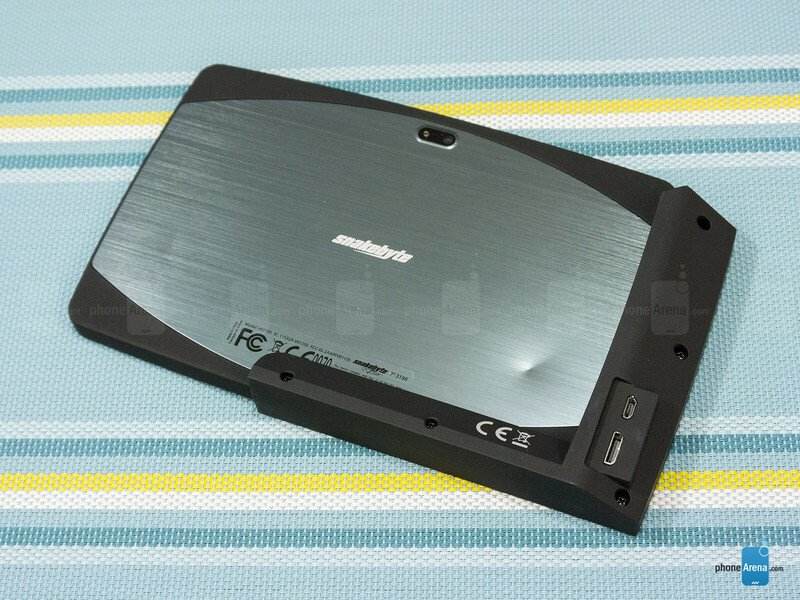 You might cringe looking at the 7-inch tablet portion of the Snakebyte Vyper system. Experience in tablet design isn’t something that the company has on its back, so it really shows in the dull and cut throat design language of the tablet. Obviously, there’s a cheapish quality to the tablet’s construction, which is comprised out of this soft touch matte casing and flimsy aluminum rear. Out of everything, the most underwhelming part about the tablet is its 7-inch 1280 x 800 IPS display. While resolution is average, it’s just the dull and washed out look of the display that distracts us the most. 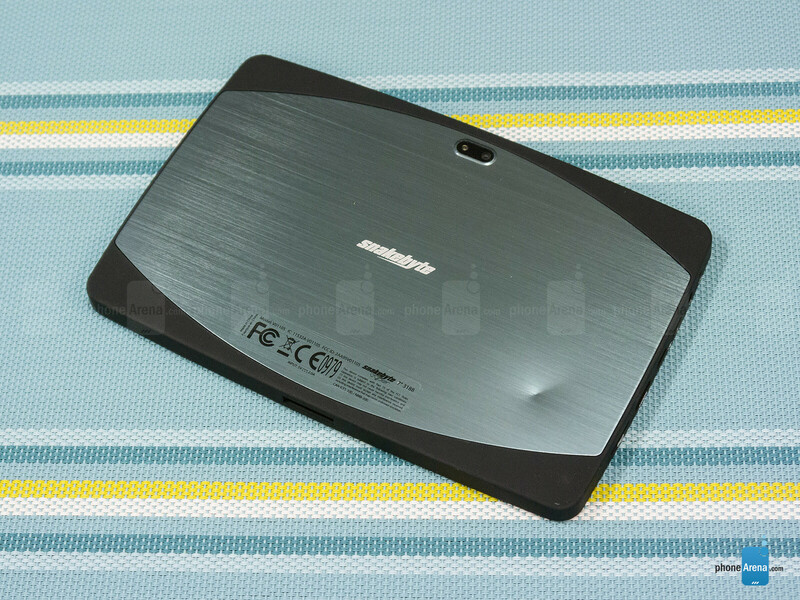 Taking a peek around the sides of the tablet, it features a wealth of ports and items – they include a power button, volume control, microSD card slot, miniHDMI port, two microUSB ports, 3.5mm headset jack, microphone, and a proprietary docking port. For an entry-level tablet, it’s nice to find a front-facing 2-megapixel camera, and a larger 5-megapixel one with LED flash. Another neat function of the Snakebyte Vyper is its ability to transform into a smart TV player with the aid of its docking station. 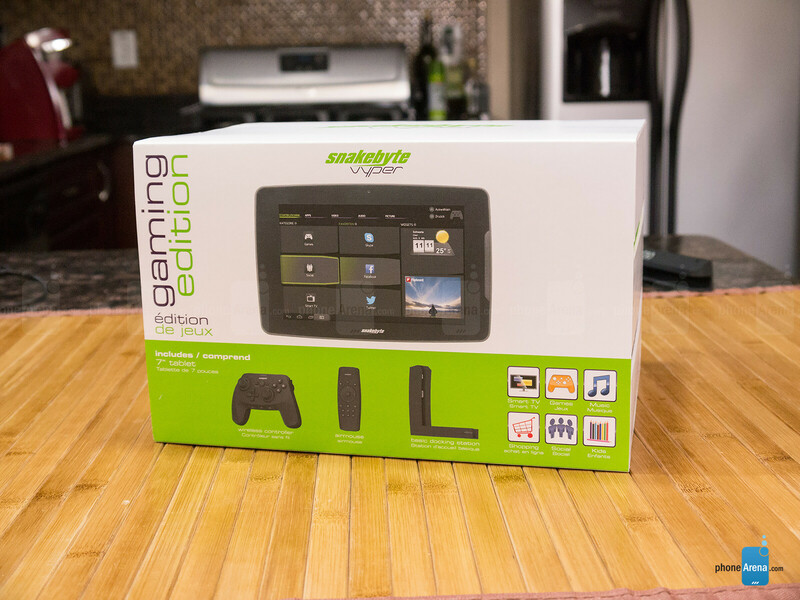 There’s really nothing to it, since it’s an L-shaped thing that keeps the tablet upright – while also sporting the necessary ports to connect it to a television. Oh yeah, it only gets better when it’s used in conjunction with the Airmouse, which we’ll talk about later. Thankfully, the tablet’s underwhelming design doesn’t extend into the Bluetooth enabled gamepad controller. For those gamers familiar with console grade gamepads, like the PlayStation and XBOX ones, the Vyper’s gamepad employs a very similar layout. Constructed out of this sturdier plastic material, the gamepad is pretty lightweight – with no compromise to its construction whatsoever. Grasping onto the gamepad, we’re able to quickly familiarize ourselves with the layout, since it’s identical to what we’re used to with consoles. Specifically, it sports two analog sticks, a directional pad, ABXY action buttons, analog shoulder triggers, and shoulder buttons. And finally, there’s the unique airmouse motion controller, which throws a trump card into the Vyper’s functionality – thus, differentiating it from most other gaming centric systems out on the market. 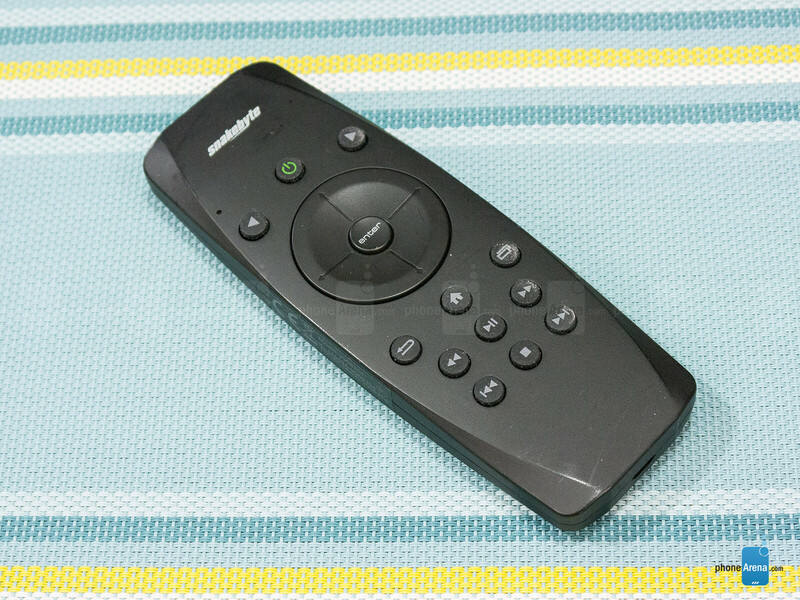 On one side, it looks like a basic remote control, where it features multimedia buttons, a directional pad, and the usual Android buttons. Flip it around, though, we’re presented with a very useful full QWERTY keyboard. 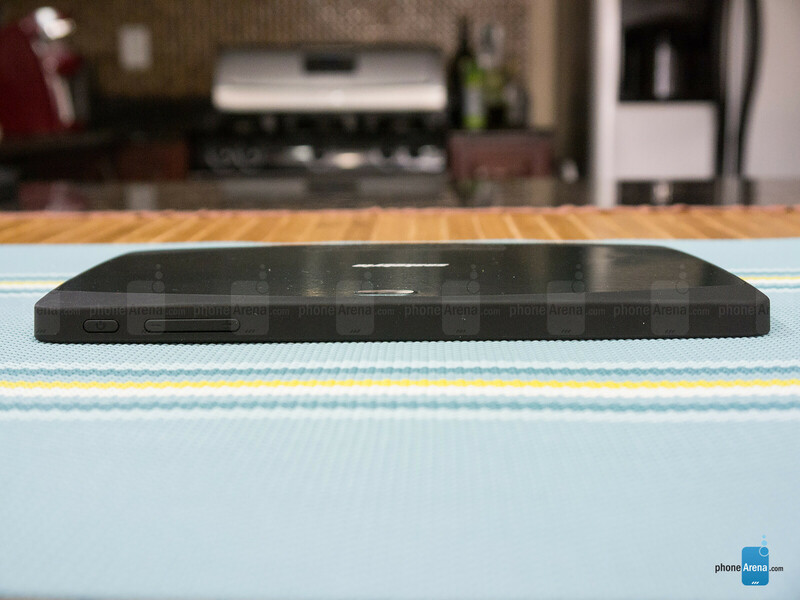 Using the keyboard isn’t a problem, seeing that the buttons have a distinct tactile feel to them. The cool part about the airmouse is how we’re better able to interact with the tablet, especially, when it’s docked and connected to an HDTV. 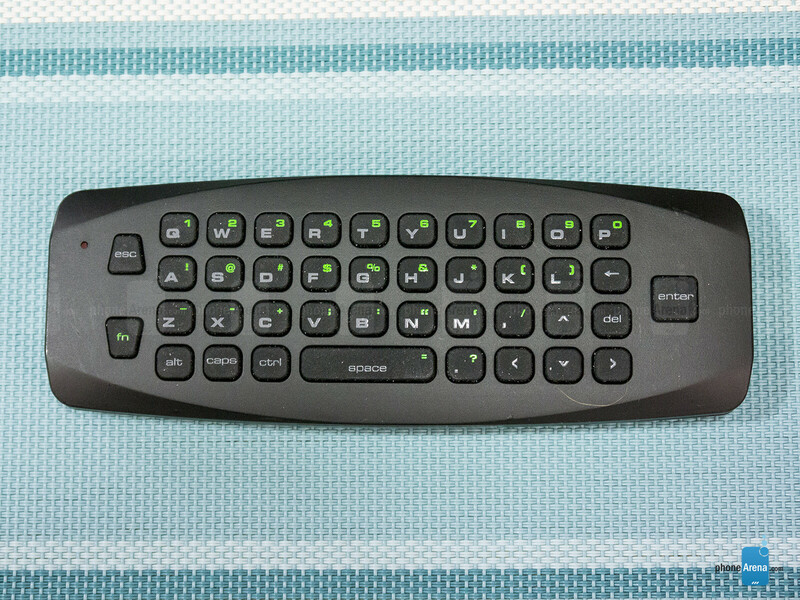 Similar to the Wii Remote for the Nintendo Wii, the airmouse acts as our mouse pointer – where we’re able to tilt and move the airmouse accordingly to navigate. Interestingly enough, the airmouse’s functionality isn’t exclusive to the Vyper tablet, since we can pair it to any Bluetooth device. Jeeze John, what'd you do to the back of that thing? Shoot it? Is that one of the new benchmarking tests now? lol maybe he was playing flappy bird and couldn't control the rage. Shoot it with what? A BB gun? Anything heavier would have went clean through.